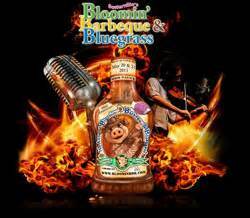 Sevierville's Bloomin’ Barbeque & Bluegrass is a family oriented event celebrating the beauty of spring, championship barbeque and world class bluegrass music. 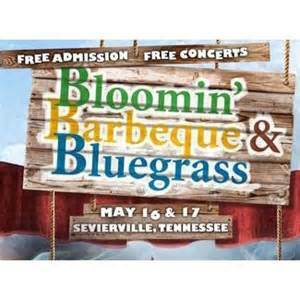 Bloomin’ Barbeque & Bluegrass takes place during Smoky Mountain Springfest in historic downtown Sevierville, Tennessee. 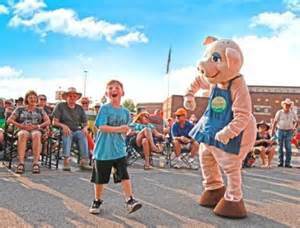 Our Barbeque Cook-Off is an official barbeque championship of the state of Tennessee and is coordinated by the Sevierville Chamber of Commerce. 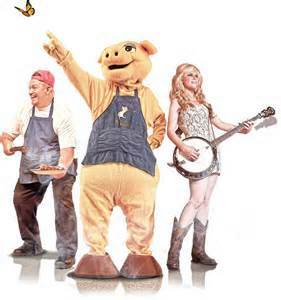 Bloomin’ BBQ & Bluegrass Kids’ Zone offers fun for kids of all ages. 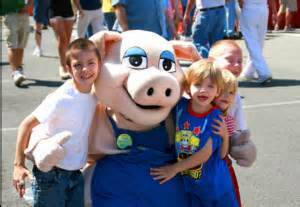 From Days Gone By, old fashioned games sponsored by Wilderness at the Smokie, to the discovery area complete with bounce houses and opportunities to discover musical instruments, the festival is really fun for the kids. 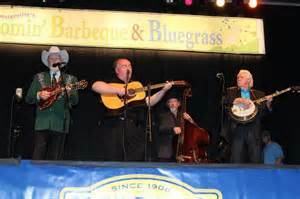 Activities like Days Gone By, the Bluegrass Music Tent and the Bounce Houses are free of charge. There are nominal charges for access to some of the other activities available.